The latest issue of YMAC News is now available for download! Our cover story is all about the Federal Court’s decision to recognise the Banjima people’s native title rights, and includes lots of photos of Banjima community members who attended the Court Hearing. There are also photos from preservation evidence hearings for the Kariyarra and Jurruru claims. These hearings gave elders the chance to make sure the Federal Court could record their knowledge, and represent significant progress on both of these claims. You can also read about a scholarship for Yugunga-Nya students, a visit by some of the Yamatji Committee members to the Western Desert, and the new book by author and elder Clarrie Cameron. There is also an update from YMAC’s policy officer Christina Colegate about the Federal Government’s Review of Native Title Organisations. 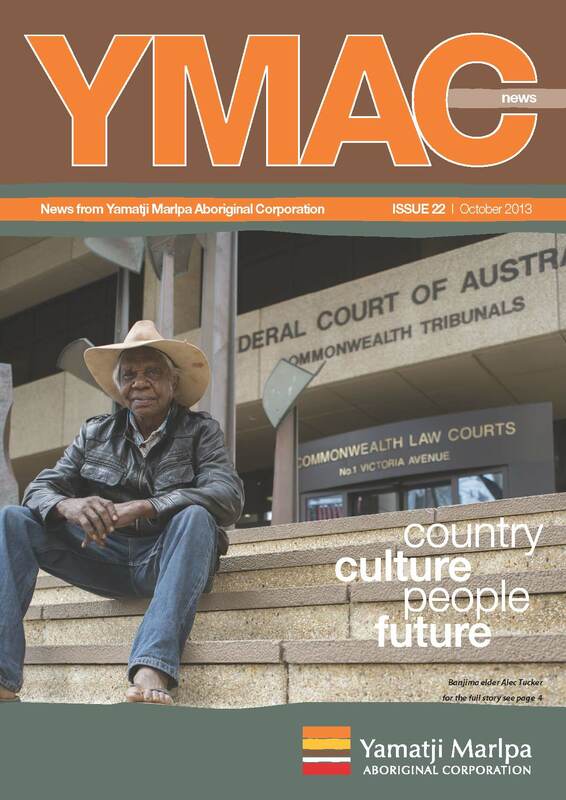 Click here to download YMAC News Issue 22, or browse earlier issues here. 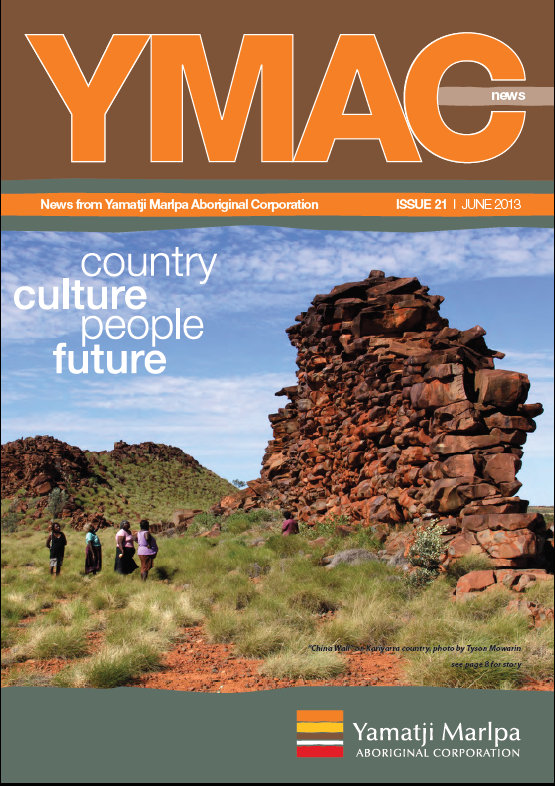 It features a cover story about YMAC’s work with Yamatji and Pilbara Traditional Owners to digitally record their stories on film for the Indigenous Community Stories initiative. There is news about mining agreements made between the Yugunga-Nya people and Ventnor Resources; the Yinhawangka people, Rio Tinto and Dragon Energy; as well as Badimia and Top Iron. You can also read about the proposed Nyangumarta Warrarn Indigenous Project Area (IPA) and the collection of the Nyangumarta people’s knowledge and stories, facts on Preservation evidence, and the management of traditional country. There is also information on YMAC’s Community Liaison Officers, YMAC Directors, and new Co-Chair of the Board, Mr Victor Mourambine. Click here to download YMAC News Issue 21 from our website, or browse earlier issues here. We hope you enjoy this issue of YMAC news. The Yugunga-Nya People, Traditional Owners of land within the Eastern Murchison region of Western Australia, have announced the signing of an agreement with Australian base metals company Ventnor Resources Limited (Ventnor) for the Thaduna/Green Dragon Copper Project over 640 hectares of their traditional country in Doolgunna Western Australia. The agreement recognises the cultural and environmental significance of the area for Traditional Owners and aims to deliver significant financial and social outcomes to the Yugunga-Nya People through commercial and community development opportunities. timeframe and both parties were happy with the result’. 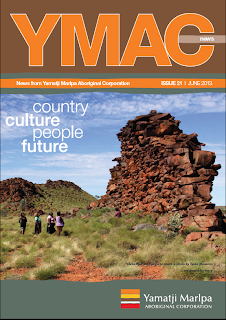 The latest issue of YMAC News is out today, with a new look and expanded format. In issue 13 of YMAC’s newsletter you can catch up on what has been happening at YMAC over the past three months with stories on the agreement between the Yugunga-Nya people and Sandfire Resources, the National Heritage Listing for the Weld Range, YMAC’s uranium community guides, the Premier’s Australia Day Award for the Aboriginal Communities Charitable Organistaion, the three YMAC women who were honoured for International Women’s Day, as well as profiles of some of our board members. Click the link below for an electronic version or email srosenfeld@ymac.org.au to request hard copies for yourself, your family, your business or workplace. The Yugunga-Nya native title group have announced a claim wide land access agreement over their traditional country with mining company, Sandfire Resources. Yugunga-Nya country covers approximately 30,335 square kilometres of land in the Midwest region of Western Australia, and includes the mining towns of Meekatharra and Cue. The land access agreement covers Sandfire Resources DeGrussa copper-gold project, situated 150km north of Meekatharra. The agreement provides a range of financial and non-financial benefits to the Yugunga-Nya community. These include employment and contracting opportunities, as well as cultural awareness training for Sandfire employees. The agreement also includes a position for a Yugunga-Nya member to be employed as an Aboriginal Liaison Officer, further developing the good working relationship established between the community and Sandfire. Ron Shay is a well respected Yugunga-Nya community member and is looking forward to the new opportunities the land access agreement will bring to his people. “We already have four Yugunga-Nya people working with Sandfire, but through this agreement we hope to see many more benefits flow through to our community, including future employment and training,” he said. Peter Jeffries, Acting Chief Executive Officer of Yamatji Marlpa Aboriginal Corporation (YMAC), said, “I would like to congratulate the Yugunga-Nya people on the successful completion of their negotiations with Sandfire Resources and look forward to the opportunities that this agreement will bring to the community.